Aloha! 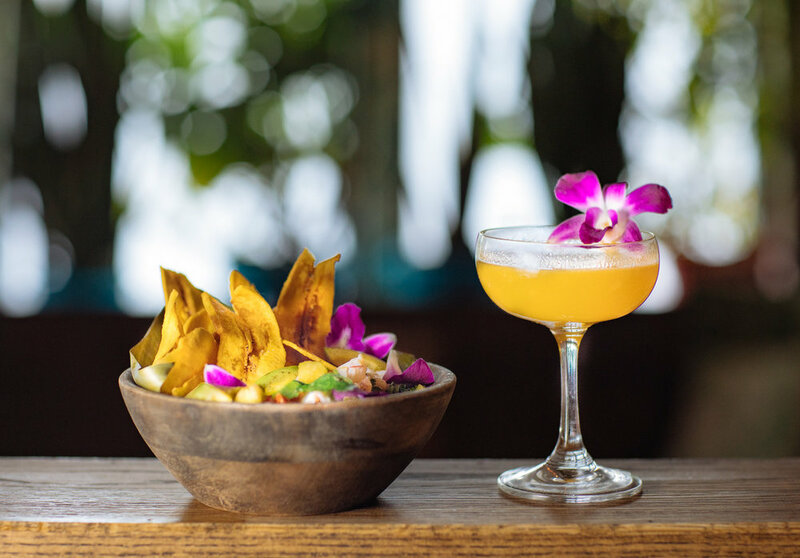 Tucked away in Pittsburgh's quietly eclectic Squirrel Hill neighborhood, Hidden Harbor is a comfortable and inviting location, serving tropical drinks and Caribbean bites in the American tiki tradition, with a touch of modern inspiration. A COCKTAIL WITHIN A COCKTAIL! FEATURING TWO DOZEN EXOTIC INGREDIENTS (INCLUDES CREAM, HONEY & ALMONDS). EMBARK ON THIS ADVENTURE WITH ONLY THE BRAVEST COMPANIONS. EVERY TUESDAY, A SPECIAL MENU OF TEN CLASSIC TIKI DRINKS, ORGANIZED BY YEAR OF CREATION. TAKE A TRIP THROUGH TIKI'S TASTY HISTORY WITH US, AND CLAIM YOUR REWARD ON COMPLETION. WE'VE ASSEMBLED A FORMIDABLE COLLECTION OF OVER 315 RUMS. FOR A GUIDED TOUR THROUGH 20 OF THE FINEST, GRAB A RUM PASSPORT AND BEGIN YOUR JOURNEY. FINISH THEM ALL AND WE'LL WELCOME YOU INTO OUR RUM CLUB: THE DEAD PARROTS SOCIETY.